Frank W. Kocher Memorial Park was established in 2002 as a joint project between Columbia County Conservation District (CCCD) and Fishing Creek Watershed Association (FCWA). The land, part of the Custer/Kocher homestead dating back to the 1850’s, was donated by Keith Kocher and Joan McCarty. FCWA with the expert assistance of Bob Marler was able to receive grants to fund the bank restoration and creation of the park. In recent years, additional land has been purchased and added to the park. Kocher Park now includes approximately 60 acres of stream side acreage to be enjoyed by the public. 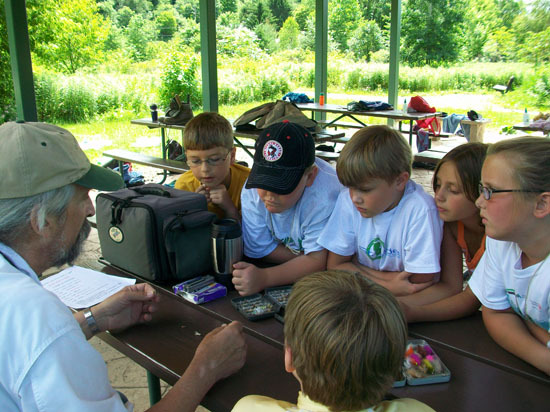 The park offers opportunities to study bird life, explore the joys of the creek, have a picnic in the Matt Kisner pavilion or launch your canoe or kayak for a trip down the creek. The park has also become a favorite for those taking their dogs on a walk. CCCD and FCWA both sponsor events for children and special needs persons during the summer at the park. 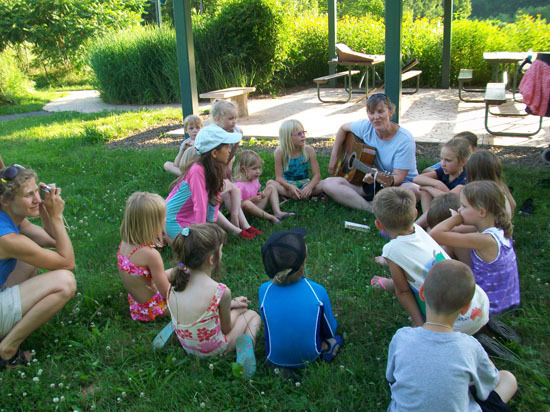 CCCD offers a Nature camp and also a mini camp for preschool children in June. FCWA holds a Fish ’n Fun Day each summer for those with special needs. Watch for announcements of these events on our website. We welcome all volunteers who might be interested in helping with work days, garden maintenance or our special events. Please contact Nancy at CCCD nancy.corbin@columbiaccd.org or Joan at jmccarty@ptd.net. Kocher Park is one of the few places in the area which offers public access to the creek . If you are interested in supporting the Park and maintaining this access, please download and print our brochure - Friends of Kocher Park. 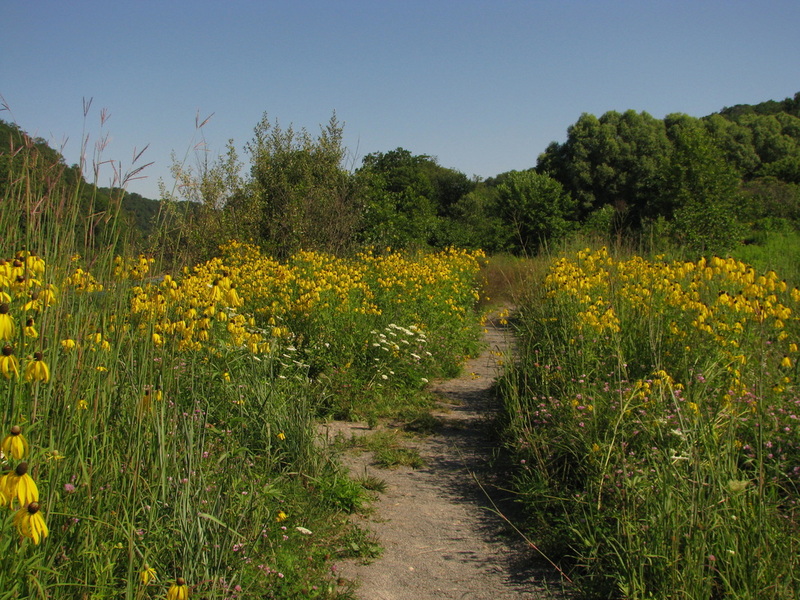 A summer day on the trail at Kocher Park. Kocher Park is northeast of Bloomsburg, Pennsylvania near the community of Lightstreet. If you're going north from Bloomsburg on 487, you'll find Kocher tucked away on the left side of the road about 1/3 of a mile north of the intersection of 487/Lightstreet and Fowlersville Road. If you're coming from the north, Kocher park will be on your right about 3.3 miles south of Orangeville.